Caroline Boshoff, who is dyslexic, investigated the differences between privileged and underprivileged children during early development. 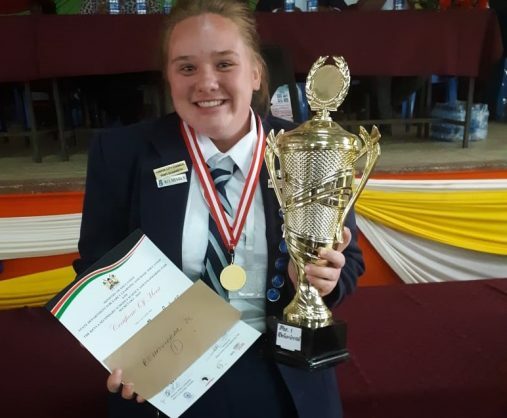 A young scientist from Cape Recife High School in Port Elizabeth has won the first prize at the 2019 Kenya Science and Engineering Fair with her project Sakha Isizwe Ngemfundo (Build the nation through early education). Exposcience said Boshoff’s research proved that children from an economically underprivileged environment and children with disabilities had gaps in the development of their visual perception skills and could benefit from intervention, in particular, a visual perception educational programme. 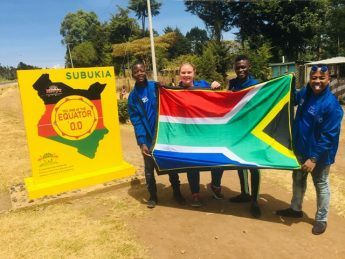 Boshoff was joined in Kenya by fellow South African young scientists Siphesihle Sithole from Mehlokazulu High School in Pietermaritzburg; Ntendeni Nephawe from Mbilwi Secondary School in Vhembe, and Norman Mashiri from Dr Joseph Shabalala Secondary School in Ladysmith.